Tonight is an all new Midnight, Texas on NBC and things are getting even weirder. 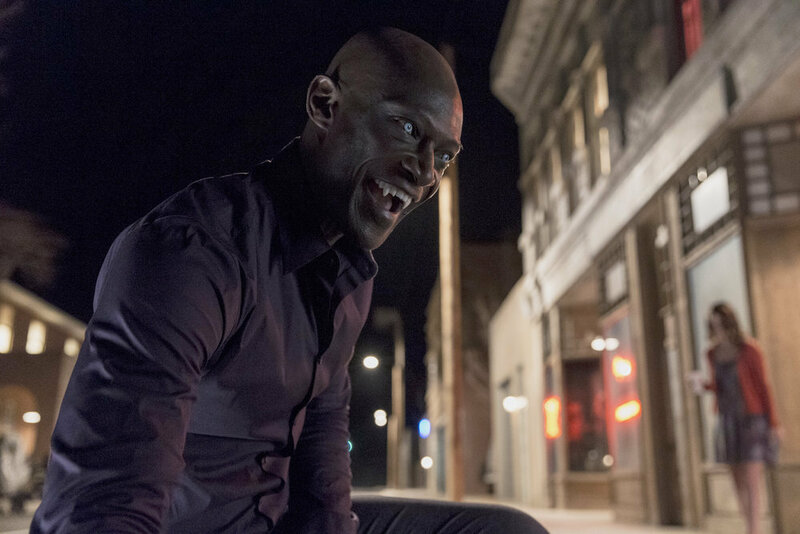 In “Lemuel, Unchained,” a deadly nest of vampires arrives in Midnight and it turns out they’re old friends of Lem’s (Peter Mensah) eager to reunite. Manfred (François Arnaud) suspects there’s more to their arrival and joins forces with Olivia (Arielle Kebbel) to uncover the real story while Creek (Sarah Ramos) prepares for the worst. Elsewhere, Fiji (Parisa Fitz-Henley) and Bobo (Dylan Bruce) hatch a plan of their own in case the vampires are up to no good. Meanwhile, Joe (Jason Lewis) confides his suspicions about the veil to hell opening in Midnight to the Rev (Yul Vázquez). Check out the clip below from tonight’s episode and a fun, behind-the-scenes look at the show. Midnight, Texas airs tonight on NBC at 10pm.